The attic can be a great place to store goods. You can put those objects you don't regally use out of the way, but they are accessible for when you do need them. Things such as Christmas decorations, spare furniture, old toys and clothes etc. can all be placed safely out of the way there. Over time though, your loft may become full, leaving you with no space to put things. You may also decide to convert your attic, but this can't be done if it is full of clutter. If you want a simple and easy way of handling a loft clearance in Brentford, TW8, then call 020 3795 9570 today and talk with an expert from Rubbish Removal Brentford. We will send our top TW8 loft clearance team so that the work can be done quickly and carefully. Shifting items from an attic can be a lot of work, as lifting and carrying objects on a ladder, down stairs, through the building etc. can be a lot of work. If you let us handle the loft decluttering, though, you can sit back and relax. Our loft junk disposal team will do all the heavy lifting for you and ensure the job is done safely. They have experience at these sorts of tasks so it won't be difficult for them. They will ensure it is done without any accidents or injuries. You, your home and your goods will be perfectly secure. We have a flexible approach to attic rubbish disposal so that you can get the help you need. We can deploy to you as many of our staff members as you require at the time and date right for you. Our staff will do as much work as you require and do everything to ensure that the correct goods are removed. They will get the job done as a same day service, so that your attic can be cleared in no time. Whatever items you want shifted, whether they are big or small, we have you covered. Our loft clearing team in Brentford, TW8 will take the goods away to be disposed of, so you can have the perfect result without having to do the job yourself. We pledge to make the work we do for you in TW8 have a positive impact of the environment. The TW8 loft clearance services we provide will adhere to all environmental guidelines so that the planet profits from our work. We do this by recycling the old goods we collect from you. We avoid throwing things into landfills and instead see if things can be given a new lease of life. This will involve having goods broken down and turned into new objects, or simply finding new homes for the old items. 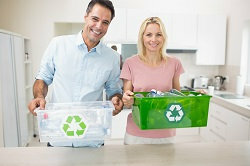 We do this at no extra cost to you and instead do it to help the Earth. Call us anytime on 020 3795 9570 and we will go into more detail about this. When you get in touch with us on 020 3795 9570 we will give you more details about the loft clearance services Brentford TW8 we provide. We will cover a cellar clearance or an attic junk removal project or whatever you need us for in Brentford – we will support you fully. The free quotes we offer over the phone ensure that you can afford our services and get the help you require. You can see the price in advance and pass on an offer you dislike. This guarantees the best result and the most affordable price. We at Rubbish Removal Brentford can help you anytime, so call us up now.